Dave Oxenburg has been playing drums since he was a kid, with an older brother as an inspiration. He has been involved in many original and cover bands. He has been a fan and collector of Paiste cymbals for a very long time. Our focus for this interview is Dave’s passion, knowledge, and love for Paiste cymbals. 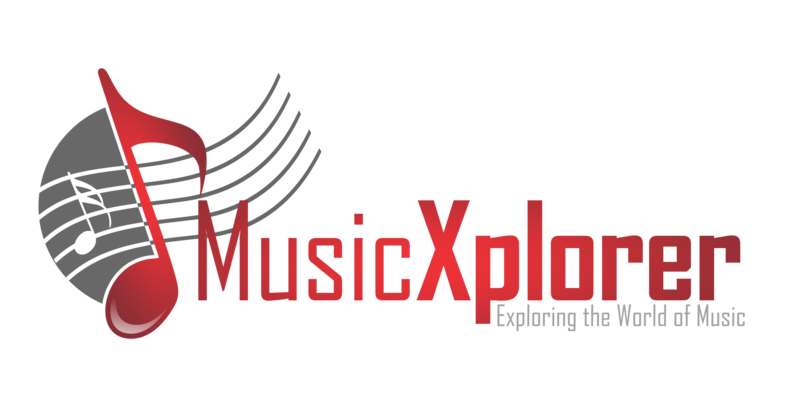 MUSICXPLORER — Hi Dave. What is the story behind you and all the cymbals? Dave — I started playing the drums when I was young. One of my older brothers had played drums, and he was my inspiration. In December of 1983, I was listening to the new album, 1984, by Van Halen, and I just couldn’t believe the sound that he got from the drums and cymbals. When the video for Jump came out, I was able to see what kind of cymbals he was using, and then went to the Willowbrook Mall and bought my first Paiste cymbal, a 14-inch, 200 series. So, Alex Van Halen was the main reason you use Paiste? Dave — Yeah, definitely. I was somewhat familiar with the red logo, but I was very intrigued when I saw that Alex was using a Paiste cymbal with a white logo. After I bought the 14-inch Crash, I went back a couple of weeks later and got the 16-inch Crash. I just got interested in the different series of the company and finding out the history of how they make cymbals. Why is Paiste your favorite? Have you played other cymbal brands? Dave — I think Paiste really just has that “sound.” It definitely has a certain sound. It’s just a preference really. There are so many drummers that use Paiste; Stewart Copeland, Nicko McBrain, and Bill Bruford. I’ve played Zildjan, Sabian, and others. I don’t have a problem with them, it’s just a preference. You have multiple cymbal racks. Why do you have so many? 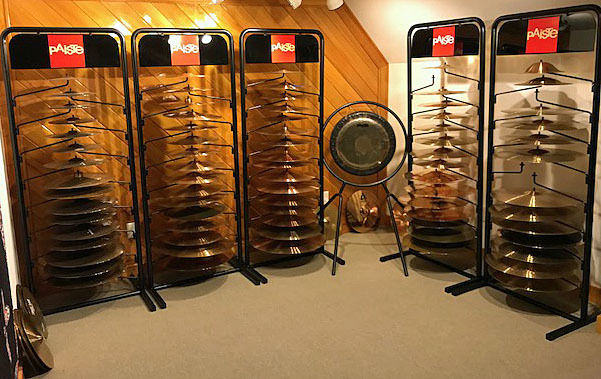 Dave — I have five Paiste cymbal racks, and over 150 cymbals. I just have a love for Paiste cymbals. How long have you been collecting cymbals? Dave — Well, I guess I started, probably in the mid-eighties. Somehow I found out about Ritchies Music Center in Rockaway, NJ, and they always had a lot of different Paiste cymbals in stock. I then found out that Ritchie’s is one of two Paiste’s Super Sound Centers in New Jersey. I met George Sigler, who was in charge of the drum department, who helped me to understand the different series of Paiste cymbals. I guess you could say you are a serious cymbal collector. Do you have any gongs? Dave — Yes, and all my gongs are Paiste, symphonic gongs. I have 20, 28, and 32-inch size gongs. One is even older than me. Before we talk about the different series of cymbals there are, what kind of cymbals are in your inventory? Dave — I have many different series of Paiste cymbals. Mostly 2000’s, 2002’s, 3000’s, Alphas, Signatures, and Rudes. I have many popular cymbals and many rare finds. Explain the cymbals in a kit. Dave — For the basic Rock set up, you would have one Ride, one set of High Hats (the two cymbals that you have with the pedal, typically on the left side of the kit), and a Crash cymbal or two. What do the different cymbals do? Dave — The Ride cymbal is used for a more open sound, especially say, when a guitarist does a solo, that’s when you’ll be on the Ride most of the time. Then, of course, you can hit the Ride at the edge like a Crash cymbal, or you can hit it on the shoulder or hit it at the bell. All in all, you can get different sounds on different parts of the cymbal. Explain the High Hats and the Crash. Dave — The High Hats are two cymbals that are controlled by your foot to open and close the sound. A Crash cymbal is used to put an accent in a song. Tell us about the different series of Paiste cymbals you have. Dave — First up, I have the Rude series. These came out in the early 80’s, and were made as a higher volume, thicker cymbal to cut through music like punk rock (which is really loud compared to rock) or loud amplifiers. Is the Rude series for straight-up Rock n’ Roll as well as punk? Dave — Yeah, and I believe that the Rude series, with the white logo, was actually taken from the alloy that is made from what the 2002’s are made (2002 Bronze). 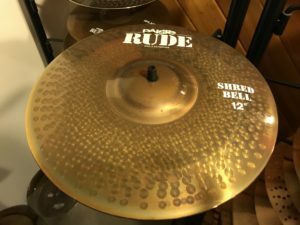 The Rudes are an unlathed, hammered cymbal. They also have a raw finish to them. Dave — The 2002’s have the red logos. I think these started in ’71. They came after the Giant Beat series that John Bonham used. Since the 2002 series came out, they have used slightly different alloys throughout the line. When I say a different alloy, I mean different combinations and percentages of what kind of metals they use to make these. 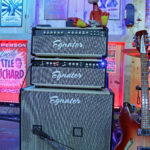 These were created to be able to cut through loud amps geared towards electric bands. I see you have the Signature series. What’s that about? Dave — The Signature series came out in ’89, and is made of Paiste Signature Bronze alloy. They are high end, and have the black letters on them. They are called Signature because one of the Paiste brothers signature is on them. They’re a very intimate sounding cymbal. 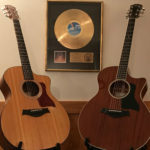 In other words, they are versatile for electric and acoustic music. They are generally a thinner cymbal and well suited for a variety of musical settings. You mentioned earlier that your first cymbal was of the of 200 series. What is the 200 series? Dave — The 200 series came out in 1985. 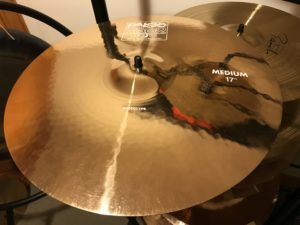 It’s a decent cymbal at a lower price point. Dave — I have the 2000 and 3000 Series. The 3000 series is a higher-quality series that started in ’86, and their logo is red. The 2000 and 3000 were discontinued in ’94. They were a popular series for Rock n’ Roll at the time. So you have the red 3000 series and the blue 2000 series? Dave — Yeah. So the red 3000 series was supposed to be like an improved 2002 series to replace and take over from the 2002’s. But they were so different that people really wanted the 2002’s back. I think they were kind of like an experiment and were meant to take over from the 2002’s, but that just never happened, because the demand for the 2002 was so high. What does the blue logo mean? Dave — It is just to differentiate the two series. The 2000’s were similar to the 3000’s, just slightly lower priced. The 2000’s and 3000’s were made for a new audience? Dave — Yeah, but they only lasted like eight years. They stopped making them and went on to other things. The Paiste company is constantly updating, changing, and coming up with new ideas. This company is just doing so many things with cymbals and coming out with different applications and different series all the time. What is the Alpha Series? Dave — The Alpha Series was introduced in 1991. Derived from the 2002 bronze alloy. These cymbals are semi-professional cymbals. 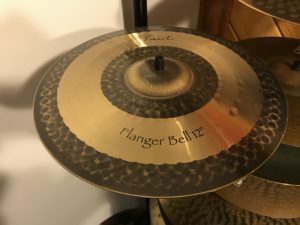 A quality cymbal at a fair price. What’s your favorite cymbal to use? Dave — I will have to say that it just depends on the musical situation. In other words, if I do an outdoor gig, the sound is going to just dissipate. So you will want a bigger cymbal or a heavier cymbal. If I’m playing a little bar, maybe I’ll use the Signature series that is a little thinner and has a more intimate sound. So it depends on the setting you know, and what kind of application to use, may it be sticks, brushes or rods. What are Rods and Brushes? 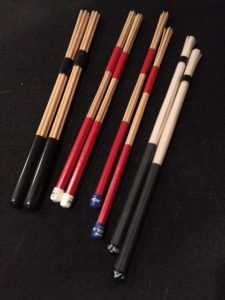 Dave — Rods are wooden dowels that are bundled together,and they create a softer sound than sticks. Brushes are usually made from metal and create an even softer sound. You can now even buy plastic Rods and Brushes. How long have you had the cymbal racks? Dave — The first one I guess, I probably got roughly 10 years ago or more. I wrote the company and they sold me one. Years later, I ordered four more. Are they hard to get? Dave — They have them in the music stores to display cymbals. 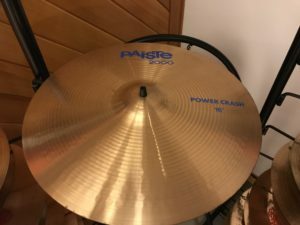 I contacted Paiste, and I asked if I could buy some. Nice! How did Paiste react? 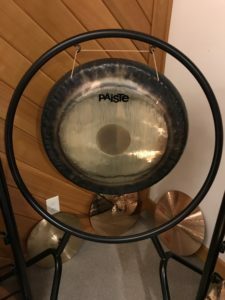 Dave — I wrote Paiste, and said, “I heard the best way to keep your cymbals from warping is to hang them.” Hanging a cymbal is much better than leaning against a wall. You would think that the pros hang their cymbals. The cymbals in the racks are only half of what I have. 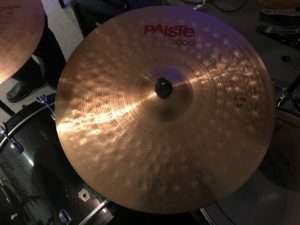 Paiste wrote me back and said that they don’t normally sell cymbal trees to the public, but they were impressed by the amount of cymbals I owned. So what does your drumming future look like? Dave — I would just like to continue meeting and playing with new musicians. Drumming is therapeutic and so much fun! Thanks, Dave, for sharing your knowledge of Paiste cymbals and the good stories. Check out the Paiste Video!